Your advice on speaking the Dharma is welcome. We are all very fortunate to have the opportunity to cultivate. There has been much talk in this country about health insurance. I am going to talk to you about next life insurance. I will call this Amitabha care. Next life insurance is very important. We are all going to die some day, and we can cultivate to prepare for this event. If we are lucky, we will have people to recite for us as we die. In August of this year I had some very good fortune. A doctor sent me to the emergency room of the local hospital. There did not seem to be a health emergency for me. Going to the emergency room is the best way to get the attention of a doctor right away. Nowadays if you make an appointment with a doctor, it might take a week or more before you get to see a doctor. So I went to the emergency room just to get an immediate doctor appointment. I was feeling a bit weak, but walked into the hospital on my own power. The doctors there did some tests. Now the next part of this story comes from what the people who went with me to the hospital told me. I am unable to remember what happened next. I passed out and lost consciousness. There was a problem with my heart. It was beating furiously at 200 beats per minute, about three times the normal rate. The doctors put a defibrillator on me and tried to get my heart to slow down. My heart would not stop beating at the fast rate. They kept trying again and again. Finally the doctors decided that they would give it one last try before they gave up on me. They told the people from CTTB that I only had a 5 percent chance of living. Now this was my great good fortune. I was about to die, and there were many people there ready to recite for me, to help me make a good transition into my next life. I think the cultivators with me recited very sincerely, because instead of dying, my heart slowed down. It turns out that bacteria had spread throughout my body, wrecking many of my organs, my heart was affected. The doctors still had a lot of work to do to keep me alive. I do not know how many days I was unconscious. I remember waking up one day in a hospital bed. Visitors had come to see me and left a recitation machine. The machine was reciting the name of Guan Yin Bodhisattva. Later a doctor asked me about the meaning of the recitation. It seems that the tune was catchy and many of the doctors and nurses were humming it or singing it. It only seems natural that these health care workers would have an affinity with Guan Yin Bodhisattva. Guan Yin Bodhisattva listens to the sounds of suffering in the world. 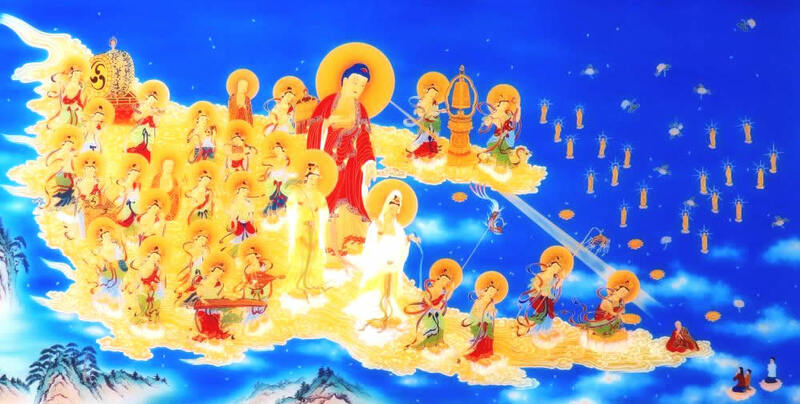 Guan Yin Bodhisattva reaches out with thousands of hands to help the suffering people. The doctors and nurses hear the cries of patients and do what they can to relieve their suffering. One thing they did was to bring me painkillers. My chest was in a lot of pain. This was a side effect of the doctor slamming the defibrillator into my chest to control my heart. The nurses that brought me pain killers apologized for the pain that had been inflicted on me. But the pain was OK with me. Dead people no longer feel chest pains. I said if my heart went wild again, the doctor could not only slam the heart machine into my chest. But break a couple of bones as well, if that would bring me back to life. I could not sit up. If I wanted to sit up, I had to push a button on the hospital bed. Then the electric bed would bring me to a sitting position. One time I decided to sit up. I reached for the button that would raise me up. I was too weak, my hand could not reach the button. I tried again. This time I got my hand closer to the button, but I still had to rest up for another try. On the third try, I reached the button, and the electric bed pushed my back up. I gradually got better, but it would be three weeks before I was strong enough to return to CTTB. Even when I was able to return to CTTB, I was still very weak. I managed to get to the Dining Hall for lunch using an electric wheelchair. I sat in a chair, but I was too weak to sit up for very long. I would take a bite and then rest my head on the table while I chewed it. I am fortunate that it was only bacteria. It nearly killed me, but the doctors and those reciting for me managed to keep me alive. If it had been cancer, I might not have been so fortunate. The problem started when I was born. I have to admit that I am lucky to have great blessings. My blessings do not consist of money or possessions. My blessings consist of friends who are willing to stop whatever they are doing and recite for me. I am reminded of the story of the man who died and appeared before King Yama. This is not fair said the man to King Yama. You took me with no warning. You should have told me in advance about my time of death. I sent you three notices said King Yama. The first notice was when your father died. I told you then that everyone dies. The second notice was when your mother died. Man or woman rich or poor everyone dies. The third notice was when your younger brother died. He was younger and stronger and healthier than you, but he died all the same. I gave you plenty of warning that you too would die as well. I am better now, but I have no delusions about the result of all the work that people did to keep me alive. They did not prevent my death, they only postponed it. So I will talk a little bit about next life insurance. There are times in our lives when others harm us. This is due to countless past lives when we have harmed or even killed each other over and over again. The person who harms us is not bad or evil, only deluded and unable to get out of this cycle of retribution. If someone harms us and we think: I am going to get back at that person, we are also deluded and unable to see our way out of the vicious cycle of retaliation and revenge. The proper way to understand this situation is be apologetic. I have harmed this person in the past. And now the harm is coming back to me. I repent of my hatred. I repent of my foolish thoughts of revenge. I sincerely wish to get out of this cycle of harming others and in turn being harmed by them. This kind of repentance is good a next life insurance. Not universal love, but love of one special person. A person so special that he or she can make you more upset that anyone else in the world. And often does get you upset. Now if you were to meet someone and that person told you that he had a special rock. When he is with the rock he is happy, when he is away from the rock he is sad and lonely. Now you might think this person is a little crazy. Perhaps you meet another person who is in love. He is only happy when he is with his lover and he is depressed when she is away from him. It may be that you think the person in love is normal and the rock lover is crazy. But look at the crazy rock guy. The rock does not fight with him and insult him. It does not throw dishes at him. It does not spend his money on useless thing like silly shoes when that money could have gone to something important like golf clubs. It does not get all emotional and upset for no reason at all. The rock does not leave him for another person and tell him that the other person is much better. The man in love is playing with fire. There are so many ways he can be burned. He is much crazier than the rock guy. We end up in the sea of suffering because of our attachments. But now we have some great opportunities before us. 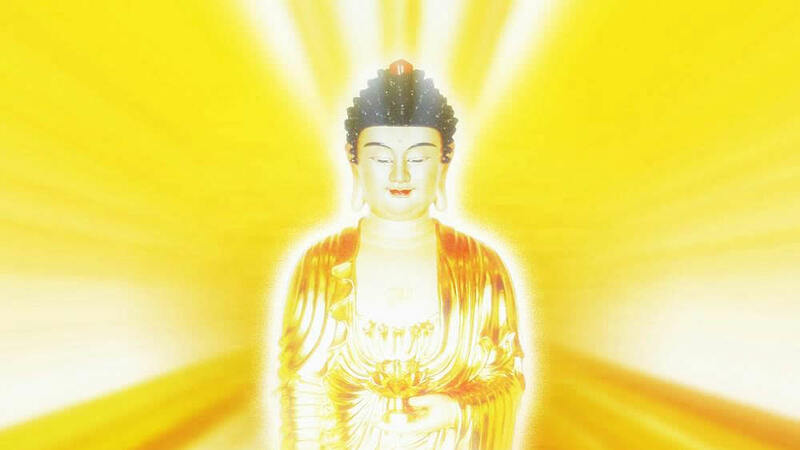 We have Amitabha recitation and then Chan meditation, both excellent next life insurance policies. After I was conscious again, someone asked me what I experienced when I was dying. I did not see lotuses. I did not see the pure land. I have very distinct memories of waking up in one hospital room after another. None of these rooms were anything like the hospital rooms I was in. I can still remember clearly the sound of a fan in one of the rooms. There were no fans in the hospital where I was staying. I remember speaking to doctors about my situation. If I was really determined, I would be able to recover. Please do not put off cultivation. I know very well that death can come at any time without warning. We should not push ourselves too hard, but neither should we be too lax. The Venerable Master had a saying: Try your best. May we all soon be together in the Pure Land.